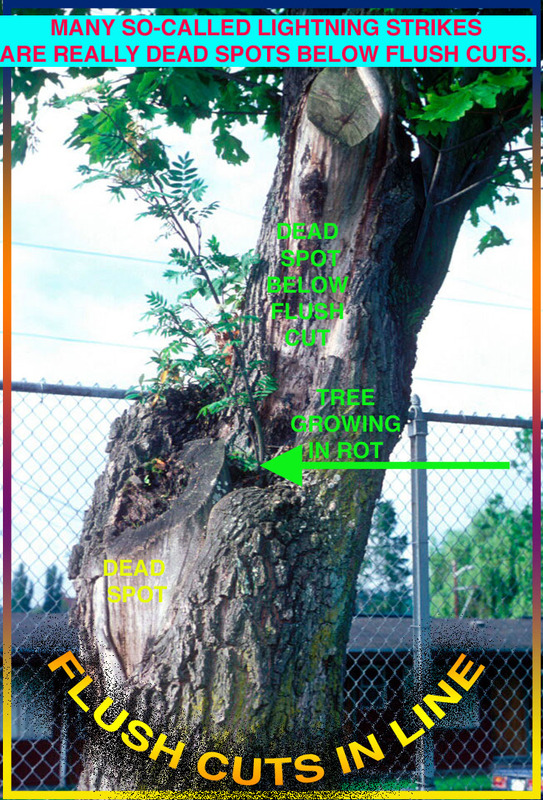 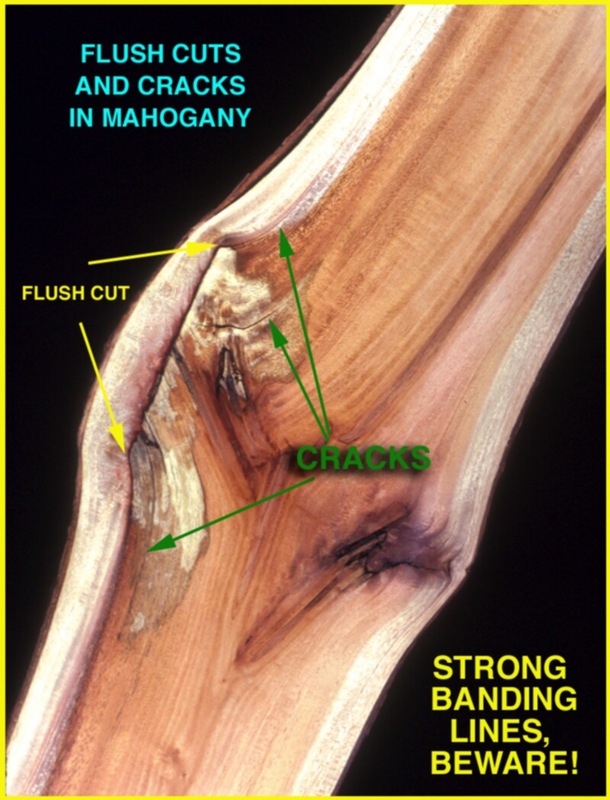 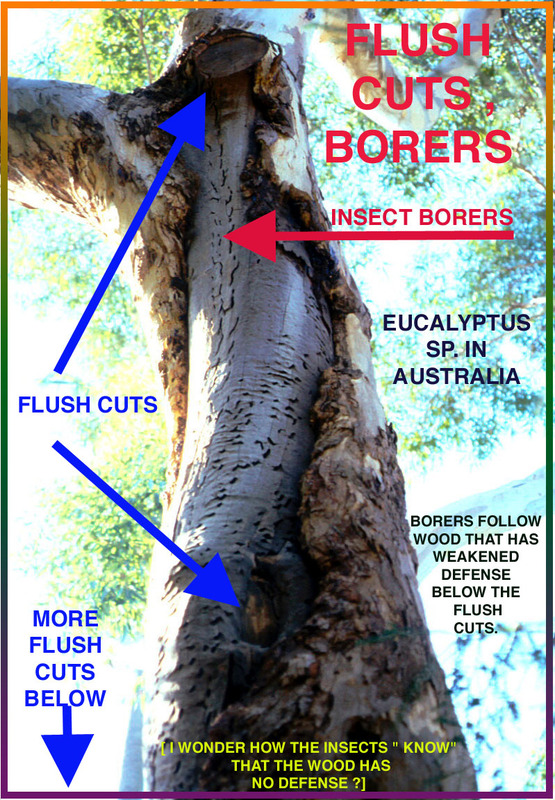 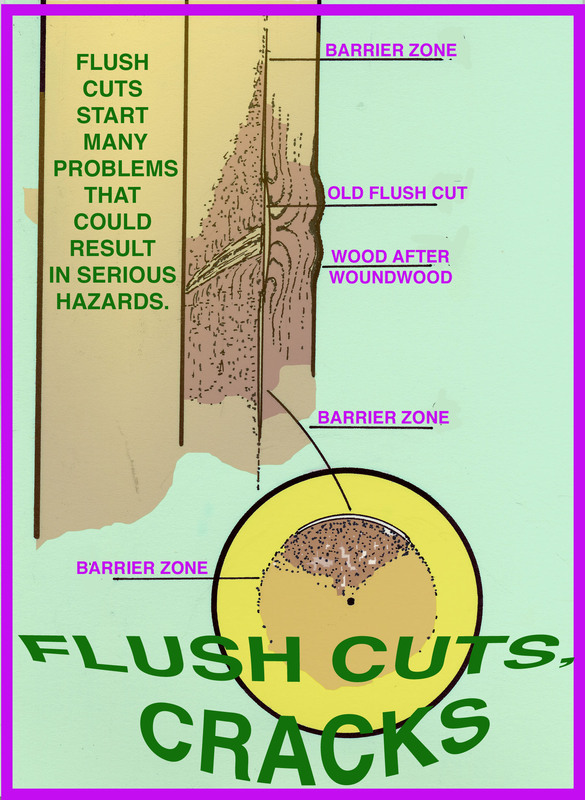 FLUSH CUTS cause serious injury to trees. 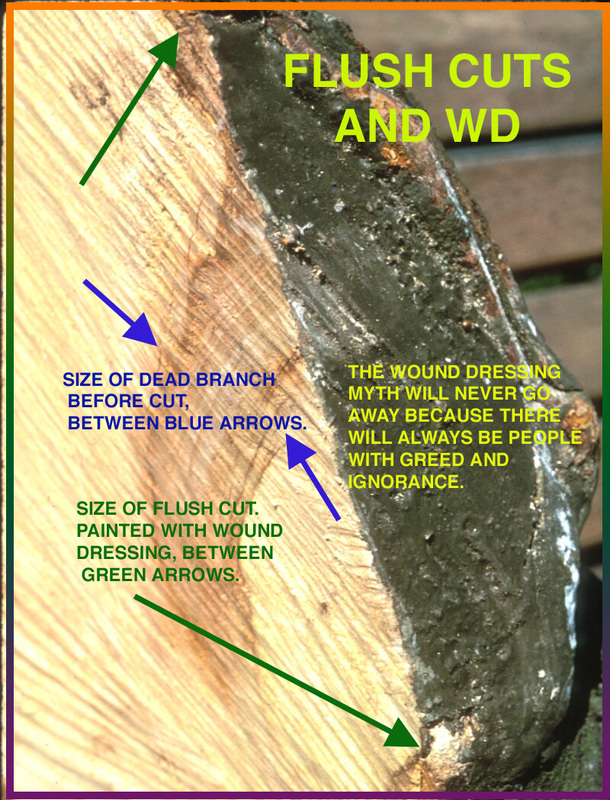 Yet they are still being done. 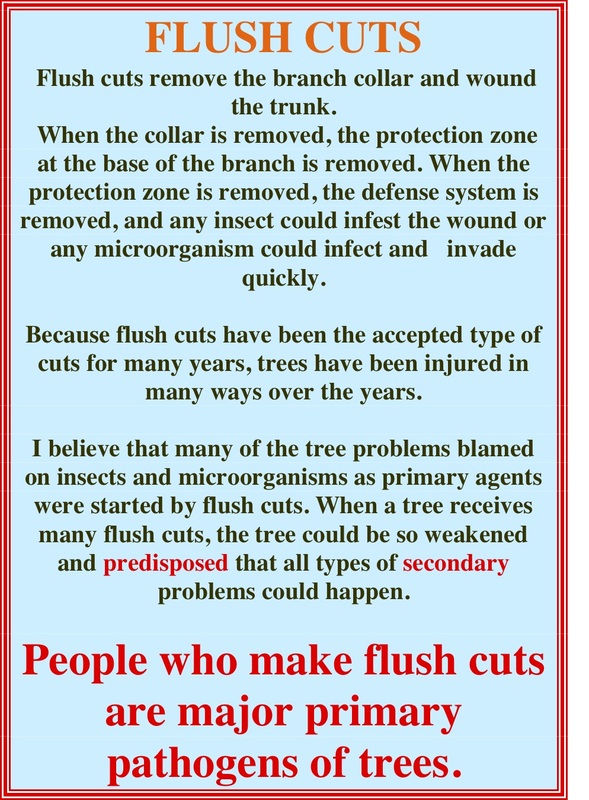 We are paying the price for years of flush cutting right now because the cleanup crew - insects, fungi, bacteria and all of the different cleanup crew members, are rushing in after all the flush cuts. 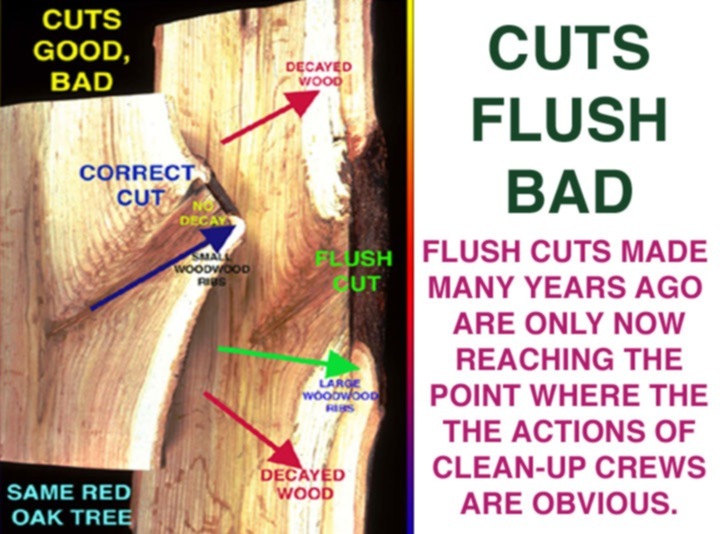 Flush cuts are “BAD” they take away “DEFENSE"!